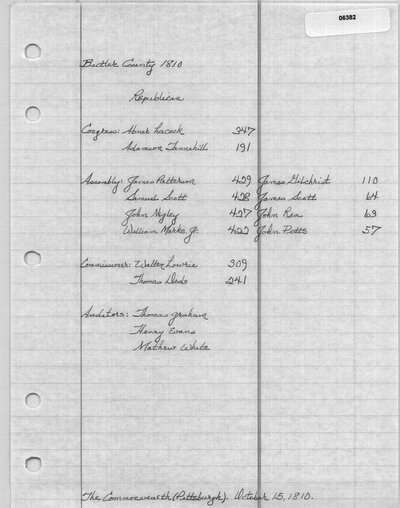 The Crawford Weekly Messenger (Meadville, PA) from October 22, 1810 lists 346 total votes for Samuel Smith. 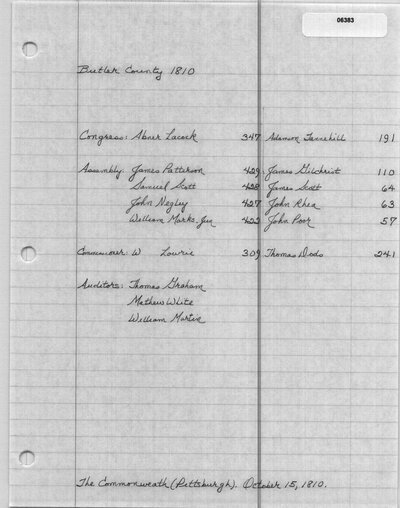 The Commonwealth (Pittsburgh, PA) from October 15, 1810 lists 191 votes for Adamson Tannehill in Butler County. 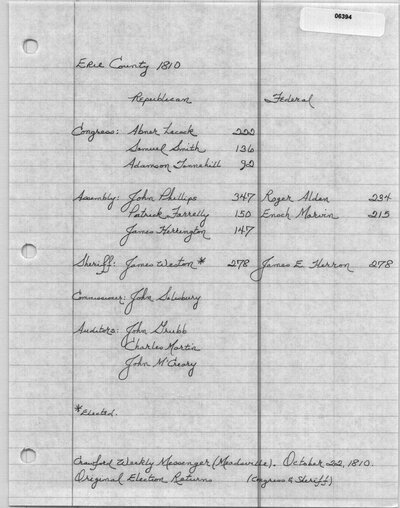 The votes cast in Warren County are included in the returns from Venango County. The Crawford Weekly Messenger (Meadville, PA). October 15, 1810. The Pittsburgh Gazette (Pittsburgh, PA). 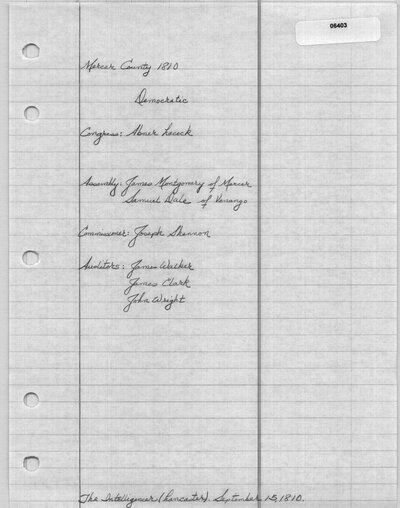 October 19, 1810. The Crawford Weekly Messenger (Meadville, PA). October 22, 1810. The Democratic Press (Philadelphia, PA). October 26, 1810. Kline's Weekly Carlisle Gazette (Carlisle, PA). October 26, 1810. The True American and Commercial Advertiser (Philadelphia, PA). 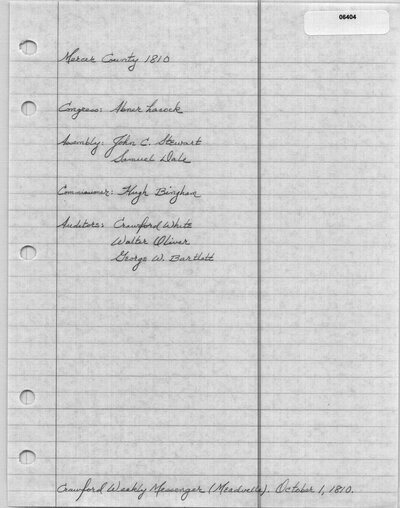 October 27, 1810. National Intelligencer and Washington Advertiser (Washington, DC). October 29, 1810. Der Readinger Adler (Reading, PA). October 30, 1810.